The National Institutes of Health is spending roughly $200,000 on a study of tweets about electronic cigarettes. The project, "Toward Fine-Grained E-Cigarette Surveillance on Social Media," will analyze hashtags and "follower-friend connections" of people talking about e-cigarettes online. Operating on the premise that the popular smoking cessation products are harmful, researchers say it is necessary to document what is being said on Twitter and Reddit for one year. "Electronic cigarettes (e-cigarettes) have emerged as the main smoke-free alternative to regular cigarettes over the past few years," according to the grant for the project. "While the ongoing healthy scientiﬁc debate about their long term health effects and their suitability for smoking cessation are important, in this project, we propose computational approaches toward ﬁne-grained surveillance of speciﬁc themes, factors inﬂuencing message popularity, and demographic variations." "The overarching goal is to create new affordances for researchers and health agencies to leverage online social media platforms for knowing and reaching their audience in effective ways," the grant states. The University of Kentucky received $199,665 for the project, which began on Aug. 10. 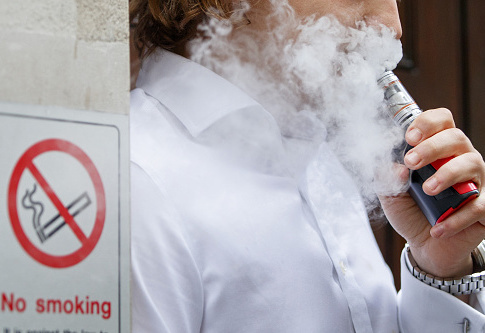 Researchers say they will study "#retweets" and "#replies" of tweets about e-cigarettes. They will analyze all tweets sent about e-cigarettes between July 2016 and June 2017. "Twitter has become the favorite network for teenagers and young adults owing to the short message size and associated ease of use on smart phones," according to the grant. "For an emerging product like e-cigarettes, the asymmetric follower-friend connections and hashtag functionality in Twitter offer a convenient way to propagate information and facilitate discussion." Researchers hope the Food and Drug Administration can use their findings to make the government's anti-electronic cigarette messages go viral. "We expect these results will help Health agencies, the FDA, and Researchers gain insights into observed viral nature of certain messages and designing effective strategies to maximize diffusion of their messages," the grant states. This entry was posted in Issues and tagged FDA. Bookmark the permalink.